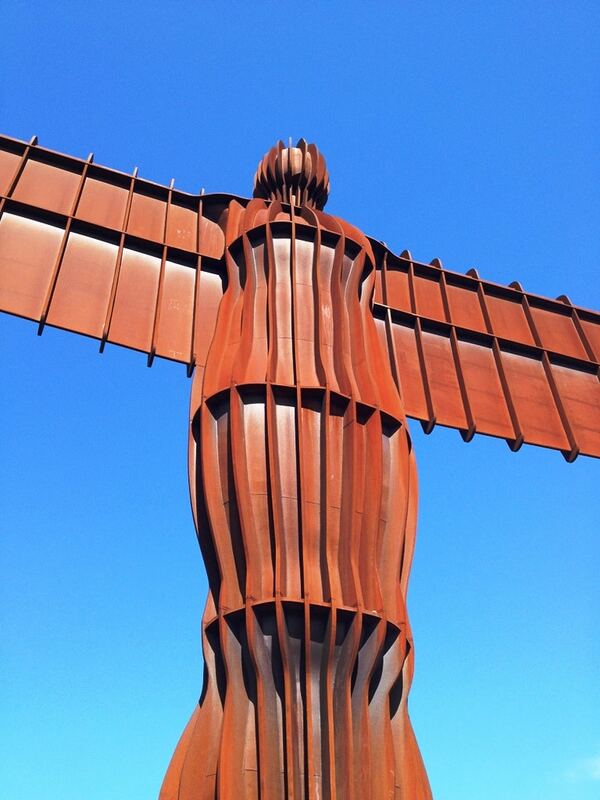 The Angel of the North is an iconic 20m high, 54m wide landmark situated in Gateshead that’s seen annually by over 33 million people; most of these speeding past on the nearby A1(M) motorway. 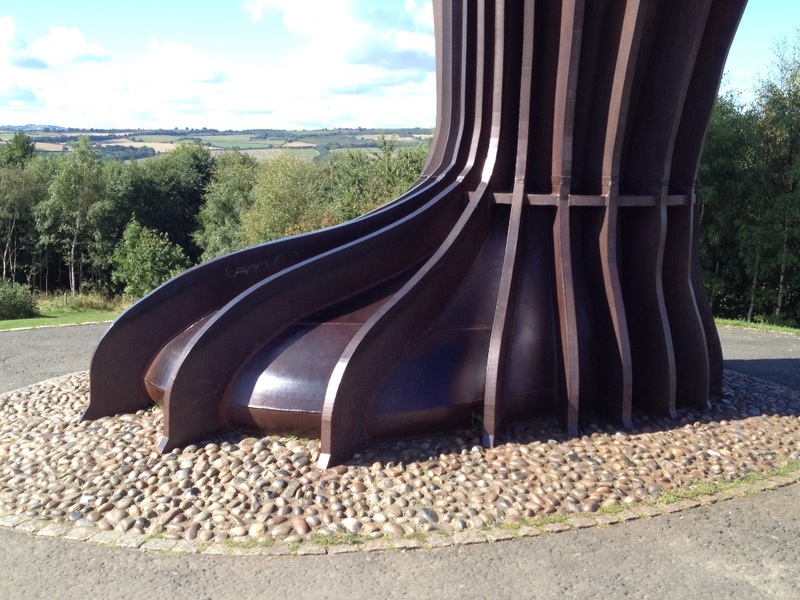 It was commissioned to be a landmark public piece of art for Gateshead and the North East of England and was finished in 1998 having taken 6 months to build. 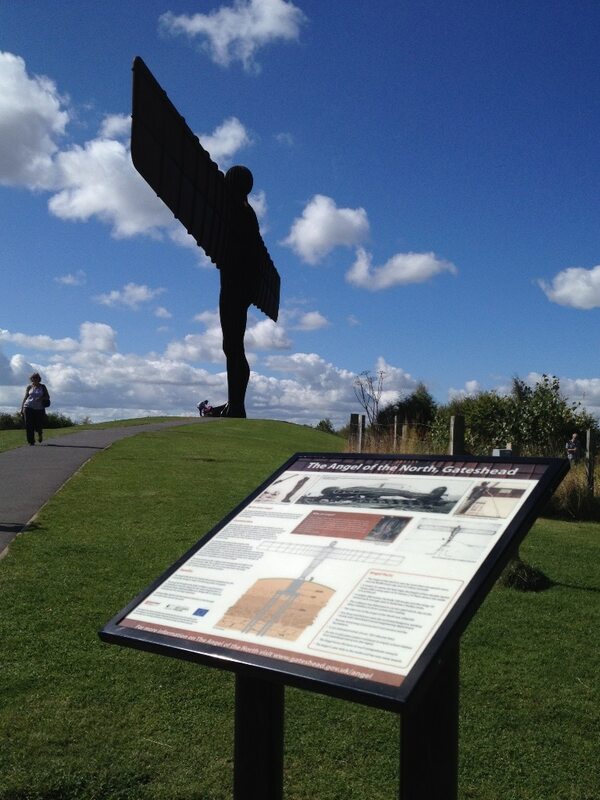 For anyone in Newcastle who wants to visit for the day it couldn’t be simpler. 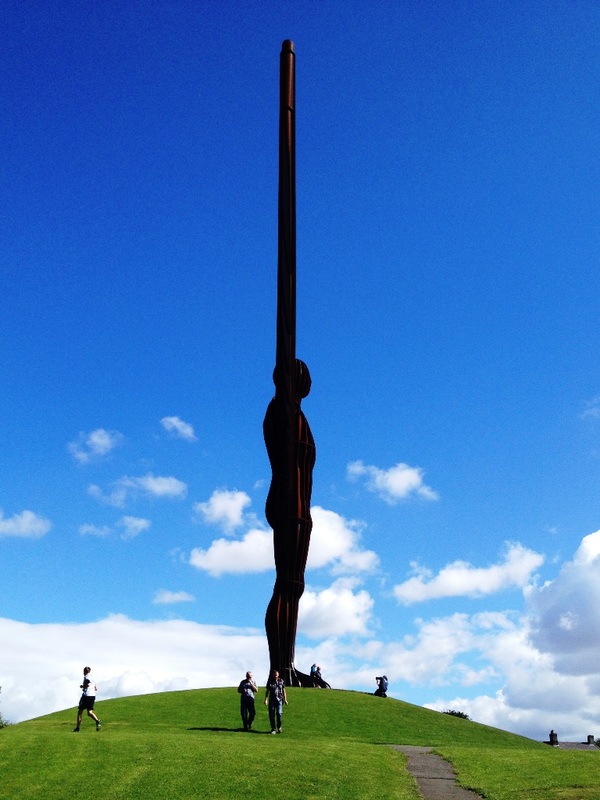 It’s 4 miles south of the centre of town and the bus number ’21’ takes just 20 minutes to get to the dedicated ‘Angel of the North‘ bus stop, and all for just £3.70 return (the number ’22’ goes there too). 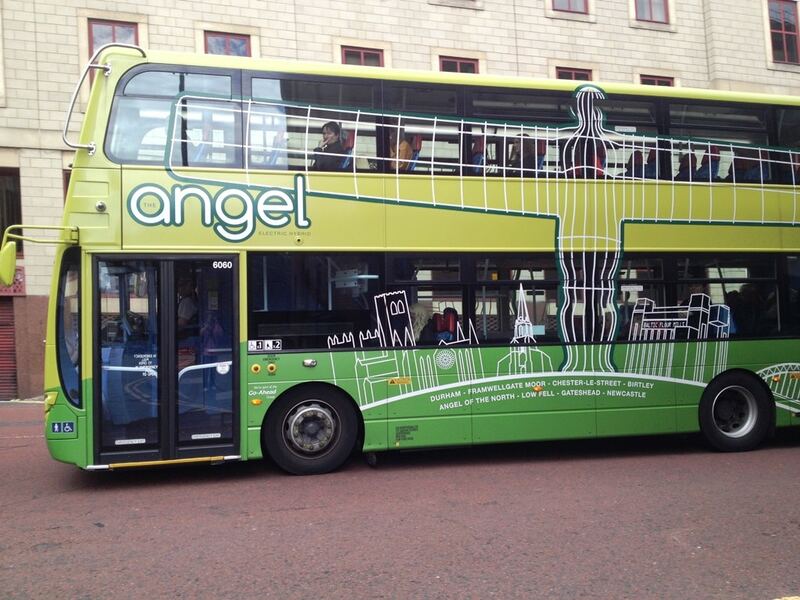 And if you’re in any doubt you’re on the right bus the ‘21’ has the Angel of the North emblazoned on the side. For those driving there’s ample parking in a car park right next-door to the attraction. 1. The “the straight on shot” (top). You have to go quite a long way back, next to the trees to get both tips of the wingspan in (it’s almost as wide as a 747). What doesn’t work so well are panoramic iPhone shots as you end up with bendy wings rather than perfectly horizontal ones. 2. The “sitting on the feet” shot. Just sit on the feet and get somebody to take your photo. This shows off the Angel’s engineering and red-brown colour. This comes from the weather resistant Cor-ten steel containing a small amount of copper. 4. The “from an angle picture postcard, arty Instagram shot”. This one works really well, especially if there are some background clouds. I took my one on an iPhone 4s using Instagram with the Mayfair filter and 100% ‘Lux. 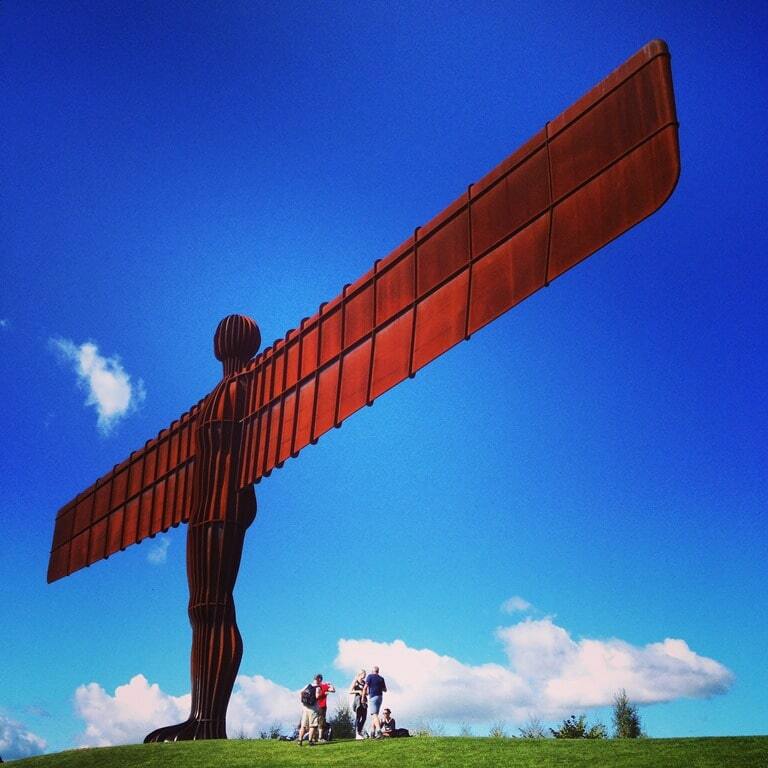 So what’s the Angel of the North all about? Well according to sculptor Antony Gormley on the nearby information board the Angel has 3 functions – “firstly a historic one to remind us that below this site coal miners worked in the dark for two hundred years, secondly to grasp hold of the future expressing our transition from the industrial age to the information age, and lastly to be a focus or our hopes and fears”. Either way I’d wanted to visit it because a), it’s there, b), it’s iconic, c), it’s only just outside Newcastle and d), it memorably had an Alan Shearer shirt hoisted over its back in 1998 which even made the national press. Oh and just for luck there’s the “side on” shot. Did you know that the wings are actually angled forwards slightly at 3.5 degrees to create a “sense of embrace”. For more information on the Angel of the North check out www.gateshead.gov.uk/angel. While you’re here maybe you’d like to read Grace’s account of solo walking the length of Hadrian’s Wall on her way to Newcastle. Gorgeous photos 🙂 So proud of the beautiful Angel guarding over Gateshead! Now I feel better prepared for visit. How much money does a small blog make?